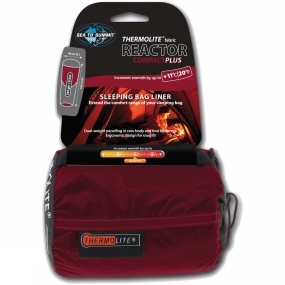 The Reactor CompactPlus can increase sleeping bag performance by up to 11�C with dual-weight Thermolite® fabric. Our regular 80g/ m� is combined with panels of 110g/m� Thermolite® in the core body and foot box areas adding extra warmth, while the ergonomic design shaves off excess weight. Ideal for gram counters under 6 feet tall.